T.H.U.N.D.E.R. 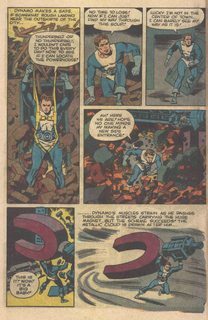 Agents (Collection) (1965-2005) : T.H.U.N.D.E.R. Agents is a fictional team of superheroes that appeared in comic books originally published by Tower Comics in the 1960s. They were an arm of the United Nations and were notable for their depiction of the heroes as everyday people whose heroic careers were merely their day jobs. 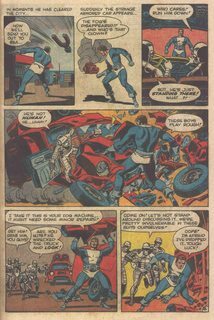 The series was also notable for featuring some of the better artists of the day, such as Wally Wood. 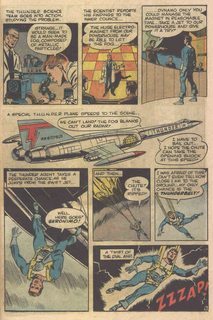 The team first appeared in T.H.U.N.D.E.R. Agents #1 (cover-dated Nov. 1965). The name is an acronym for “The Higher United Nations Defense Enforcement Reserves”. A film adaptation is scheduled for release in 2018.